Right at the top of this text, you see the much anticipated 2009 Christmas episode of Radio Free Charleston. Being a Christmas show, there was only one thing we could call this edition of RFC–“Terry Funk Shirt.” This extra-long episode is packed with music from Molly Means, Joseph Hale, Todd Burge, and Melanie Larch with The Diablo Blues Band. There’s also some classic animation from the British studio Halas and Batchelor, plus a news flash about a visit from Saint Sputnik. You may also want to take note that this is our first show that might require parental guidance. If, instead of a lovely little video player up above you see some bracketed, disembodied code, follow this link to watch the show. Host segments were shot at The Purple Moon, Charleston’s art and Atomic Age antique shop, located on Quarrier Street. Chuck and Connie Hamsher welcomed us to their old location where we shot our 2006 Christmas show and we returned to the new, more spacious Purple Moon, where once again, the aluminum Christmas tree forest is in full bloom. 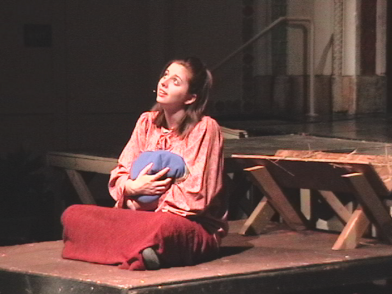 Our first musical guest this week is Capital High senior Molly Means who, for the second year in a row, starred in the title role of Dan Kehde and Mark Scarpelli’s rock opera “Mary”. Last year, in our “Christmas Treat” mini-episode, we brought you Molly performing an acapella rendition of “Child, My Child,” the song Mary sings to her baby, Jesus. This year, we’re bringing you a new recording of the song, with accompaniment. “Mary” has become a Christmas tradition in Charleston and this year’s production was a joy to behold. Our animation is from the famed British studio Halas and Batchelor and it’s a re-telling of the classic “‘Twas the Night Before Christmas.” This is a truncated version of the cartoon, but you can see all the stuff we cut out during the end credits. Next up, we have Joseph Hale, who has appeared on our show before, solo and as a member of OVADA. 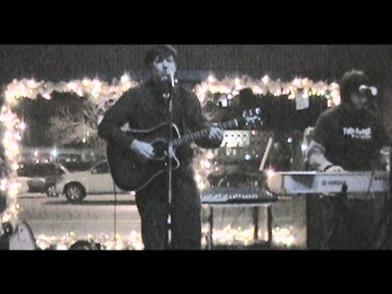 We recorded Joseph last Friday night at the Boulevard Tavern, where he was backing up Todd Burge. Joseph took the lead for his lovely Christmas tune, “Let’s Put The ‘X’ in Xmas.” This song is notable because in four and a half minutes, it includes more obscenities than the entire run of Radio Free Charleston has had to date. The song is terrific, if not exactly safe for work. However, it may well land Joseph on the “Naughty” list this year. Not to be outdone, Todd Burge picked up the Crystal Meth ball and ran with it. Joseph mentioned Meth in his song, but Todd based his entire song on the unfortunate antics of a couple who are not an example of better living through chemistry. The tale told in this tune is sort of like “The Gift of The Magi,” only with the protagonists using Crystal Meth. 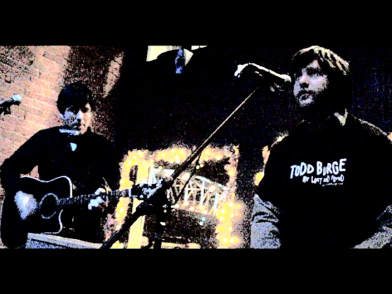 Todd Burge is one of the state’s most respected songwriters. I’m proud to say that I was one of the first people to play his music on commercial radio twenty years ago. Todd’s reputation as a songwriter is so grand that he can survive having a tune with the title “Crystal Methmas: 2019” in his catalogue. Seriously though, the fact that he can crank out such a memorable song, basically on a dare, shows why Todd is widely considered a state treasure. Wrapping up our final present under the Radio Free Charleston Christmas tree is a special pairing, our Resident Diva, Melanie Larch has teamed up with The Diablo Blues Band for a run at the Charles Brown/Gene Redd R & B classic, “Please Come Home For Christmas.” Melanie has displayed her Christmas chops back on episode 11 of Radio Free Charleston, where she delivered a stunning acapella rendition of “Ave Maria”.” This Christmas, our mistress of versatility is backed by members of The Diablo Blues Band–Johnny “Hurricane” Compton, Keef Mack, Kevin Kidd, and Tommy Fontaine. 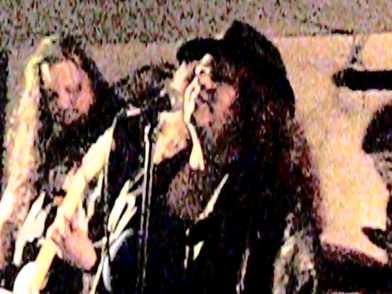 Early next year, we’ll feature The Diablo Blues Band at full strength with their master of the harmonica, John Chic. Melanie and The Diablo Blues Band tear up the song in an amazing performance made even more amazing by the fact that Melanie had never rehearsed or performed with the band before. This was one take with no rehearsal. Now you know why she’s our Resident Diva. That is it for our special holiday edition of Radio Free Charleston. Once again, we want to thank Chuck and Connie Hamsher at The Purple Moon (a great place to stop for last minute Christmas shopping) and we want to thank Nate and Tom at The Blue Parrot and P.G. and Dave at The Boulevard Tavern. Radio Free Charleston will return the week after Christmas with the 34th episode of our show produced in 2009. Among the musical guests will be the RFC debut of Eva Elution. Look for it after Christmas.